Win all the time but still playing with Fun account? Want to start playing for real money? In this case it is high time to think about getting some craps bonuses or deposit some cash into your casino balance. What are the things you should start with? Let's find out! Online casinos offer you plenty of payment methods to deposit safe and withdraw quickly. 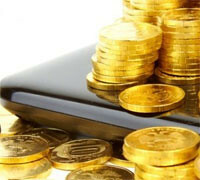 The most popular deposit methods are such ewallets as Neteller and Moneybookers/Skrill. There are also plenty of other ewallets available, but these two remain to be on top. You just create an account and transfer your funds from the bank account. Then you make your deposit from ewallet account, but not from the bank. It is simple and secure. You also can use an online debit payment from your bank account. However, you should know that some credit card companies don't allow direct deposits for online gambling sites. Sometimes they apply restrictions to the citizens of some European countries only. In this case, ewallets can be the best choice for you. Most top ewallets and online bank use 256-bit encryption when transmit your account information. Just check the lower right corner in your browser window when make some transactions. There should be a padlock symbol that indicates that the encryption works. It is impossible to crack. You also will have a password and PIN (Personal Identification Number) to sign into your account and make some transactions. It is up to you to choose a strong password. It should not be a simple word. Choose the combination of different symbols, use numbers and more than 8 characters. And of course, never share this password with anyone! It also concerns emails from your online casino. Whatever online casino you play, they will NEVER ask you about your password. Neither by phone, nor email. Don't forget about it. You also should use virus scanner and firewall. It helps to protect your personal data. This company is based in Canada. 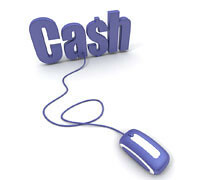 To register with this popular online payment method you should visit www.neteller.com. After creating an account, make a small deposit to verify your bank account. It may take up to 4 business days. So, make it ahead if you want to play craps for money as soon as possible. Then you can make free electronic transfers between your bank account and Neteller. Usually, it takes from 2 to 5 business days. To deposit into your casino account you should use Neteller. You can choose among different currencies presented. However, check what currencies are accepted by online casino. Try to deposit with it to avoid currency conversion fees. Actutally, Neteller no longer accepts USA players. However, the selection of payment options is really impressive. Thus, US citizens can use Click2Pay or ePassporte. The transaction system applied is the same. Only the names change. You need to create an account with ewallet chosen, transmit some cash from your bank account. Then go to your casino account and deposit some cash with ewallet chosen. 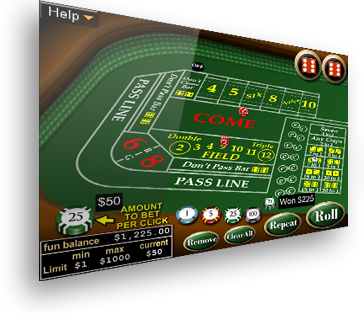 Now you can play online craps for real money. Just don't forget to use some strategies and betting systems to win.